One of the largest and oldest full service nurseries in the Houston area is RCW Nurseries. They have a large selection of what you need for your yard and garden — shrubs, roses, perennials, herbs, trees and annuals. When I need plants or trees for my yard, RCW Nurseries is the place I go. They grow their own shade and ornamental trees. When you need gardening supplies such as soils, stone, pottery, or statuary, RCW Nurseries has them. The knowledgeable staff can answer your gardening questions and make recommendations. They are fluent in seven languages. Special orders are welcome with delivery available. Spend the day exploring RCW Nurseries’ four acres and enjoy a picnic lunch. Visit the turtle pond and watch the rescued birds. RCW Nurseries can take care of all your gardening needs. 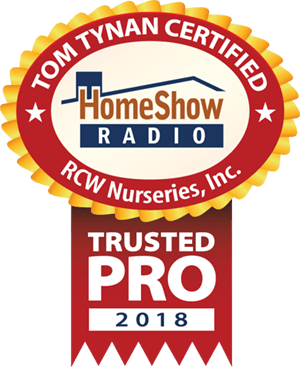 Serving the Greater Houston area, RCW Nurseries is a trusted HomeShow Pro, certified by HomeShow Radio’s Tom Tynan. How can RCW Nurseries help you? • Could your pets be in danger from these deadly plants in your own yard? • Pet poisonous plants: Are dogs and cats safe in your yard?